Most people want to make their yards look better, but sometimes it can be difficult to find something that makes your yard stand out. With these 10 high impact landscaping ideas for instant curb appeal, you’ll be able to make some changes for the better that are generally affordable and different from what everyone else is doing. In fact, most of these are quite simple and really make a dramatic difference. Whether it’s on your front porch, down the driveway or by the windows, planters look excellent in the yard and go a long way toward getting you that curb appeal you crave. You can choose large or small planters depending on the size of the area you are working with, then place shrubs, plants, or flowers in them in a uniform or random fashion. This is one of the least expensive ways to brighten up any yard. 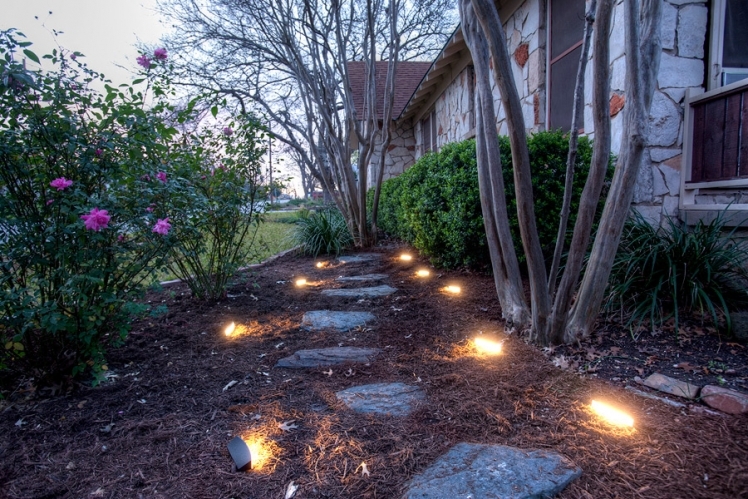 Landscape lights not only brighten up your yard, but they also make it more attractive. You can get very cheap landscape lights or go all out and get the expensive ones, but no matter which you choose, they look nice when used around a driveway, in flower beds, or in certain areas that need a spotlight. There are electric-powered lights and solar options. Solar lights are easier to maintain, but they may not be as bright and have to depend on the sunshine in order to gain power. Brick pavers are not only pretty inexpensive, but they really make an area look clean and well-kept, which is why this is one of the more popular high impact landscaping ideas. You can use them to edge a flower bed or keep in mulch, and it makes the whole area look more uniform and tidy. It’s an easy landscaping idea and one that is easy to rearrange if you grow tired of the look. Because they’re not permanent, you can easily move them around to fit the look you’re going for and then change your mind and start all over again. If you want a look that is easy to maintain yet still pretty, plant wildflowers in a flower bed. 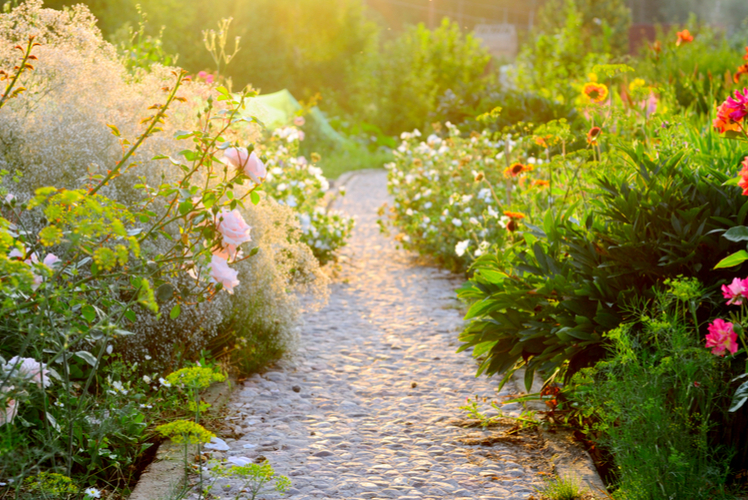 You won’t have to worry about making the area look perfectly landscaped, but you will still have a flower bed that is lovely and didn’t take much work. Seeds work well, or you can go with cheap plants. Make sure to see if the plants are annuals or bi-annuals so you will know when to expect them to die off. 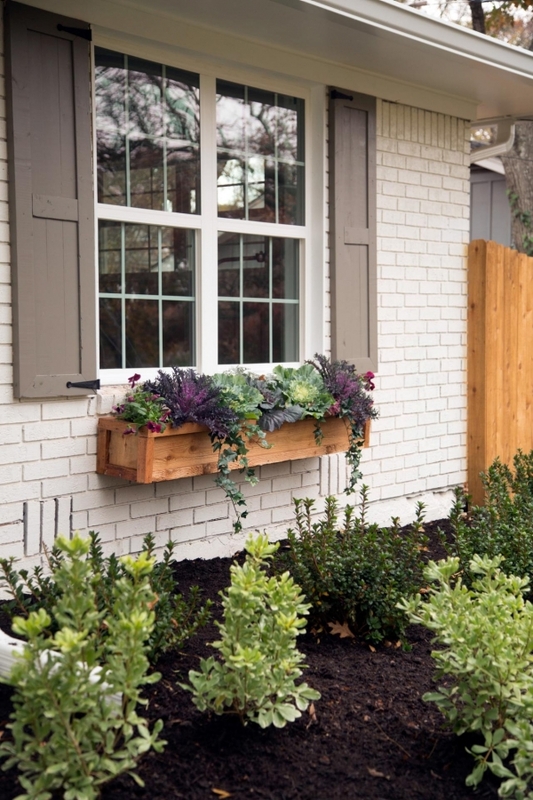 Window boxes or planters make an excellent addition to your home’s curb appeal. You can buy these pre-made or make them yourself. 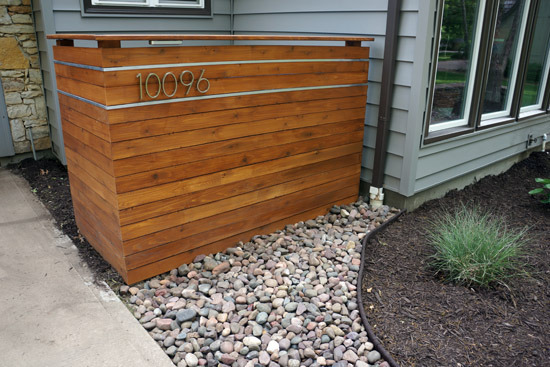 Whether it’s a wood planter box or one you paint to match the trim of your home, this idea is one of the high impact landscaping ideas that makes a huge difference in how your overall home’s appearance looks to others. Gutters are one of the areas of the home that have a purpose but can look pedestrian. 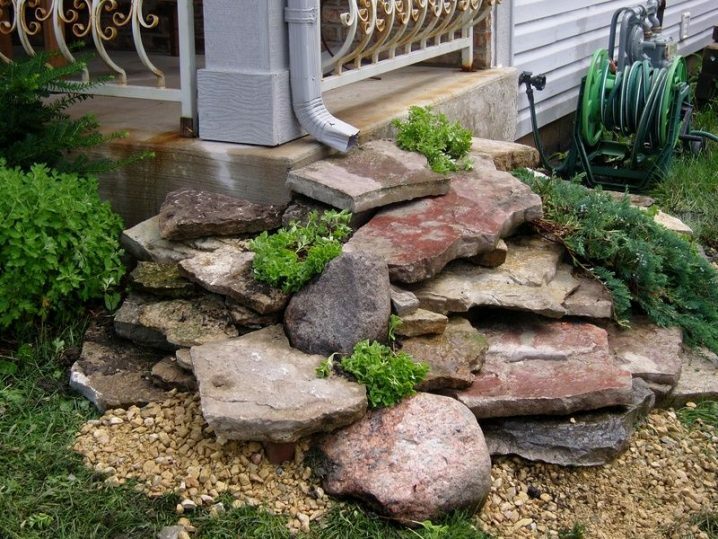 By stacking flat rocks under the gutter, you create a waterfall effect once the water flows through the gutters, and it immediately brightens up the area and makes it prettier and more serene. This is another inexpensive idea that is fast and easy to do, and it can be rearranged in whatever way looks best to you. Flat rocks can be found at most big box hardware stores, and they’re easy to place because they do not have to be uniform. 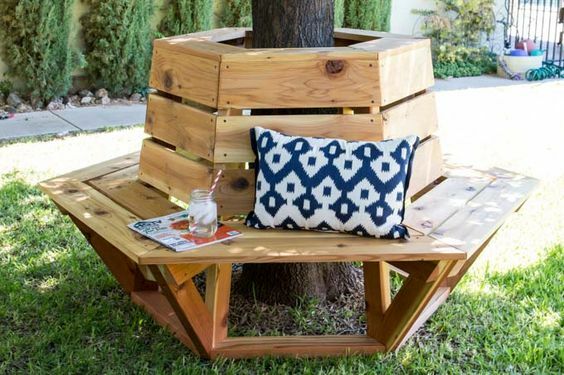 If you have a tree in your front yard, it’s easy to use a little bit of wood to build a tree bench. This idea is perfect for the children to sit on and read a book or enjoy a game, or you can even put a few potted plants on it to make it even more eye-catching. Best of all, this idea is not only attractive and unique; it’s also functional because you can sit on it and put things on it. A mailbox is something we all have to have. They are often boring and plain-looking. 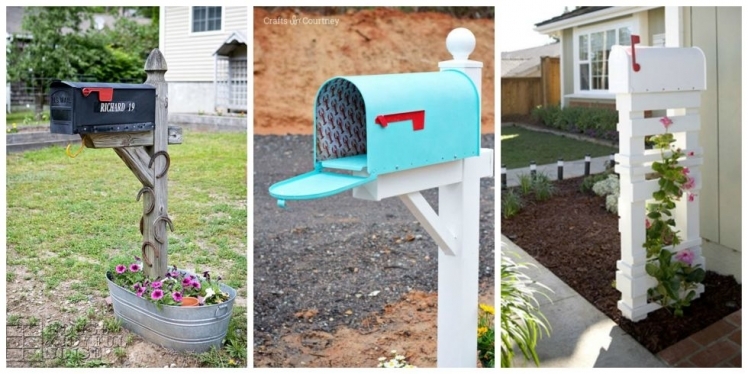 Make a stone pedestal or place a flower bed around the mailbox. Make sure it is painted nicely to match your home and looks appealing instead of the humdrum mailboxes we’re all used to seeing. A walkway is easy to make and only takes a few hours of your time. Get stone pavers, mark out the walkway area and dig up the grass. Place fresh dirt in that area, place your pavers neatly, and sweep the dirt off, making sure that it fills in the gaps. 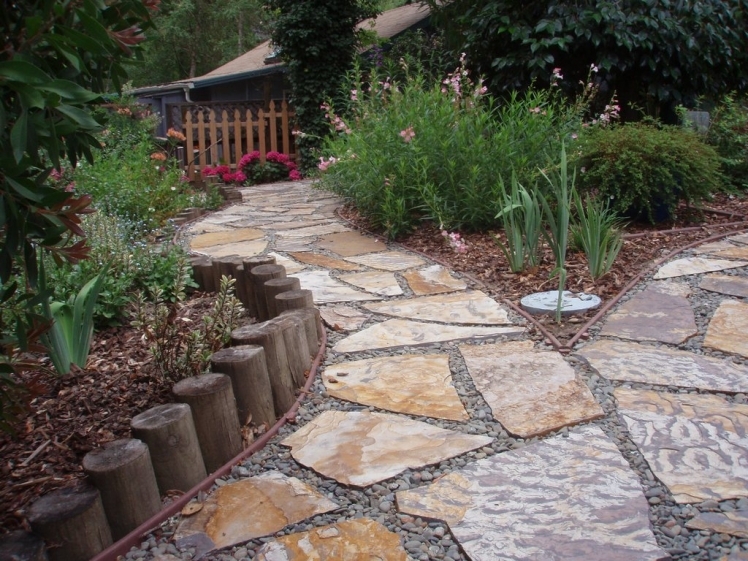 You can make a more permanent walkway with cement, but if you want easier high impact landscape ideas, you can opt for the dirt and paver route to make things easy. This is also a good way to make a temporary walkway to see how you like it. Garbage bins, air conditioning units, and other areas outside sometimes need a little camouflage to make the entire area look better. 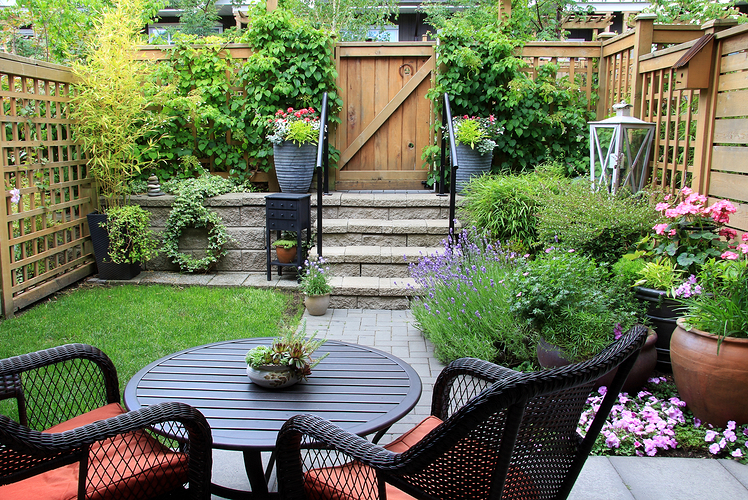 Build a brick encasement around garbage bins and air conditioning units to make the area look prettier. These things are unsightly, and while everyone has them, yours do not have to be an eyesore. There are many high impact landscaping ideas you can use to make your home look better, and these are just a few of them. 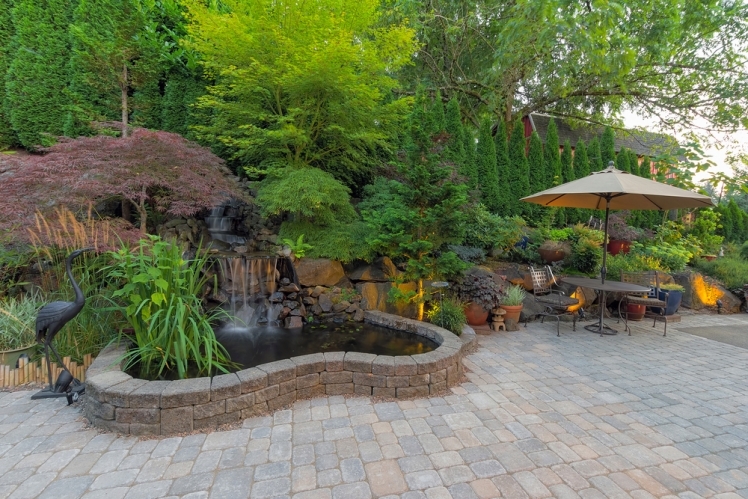 No matter which ones you choose, it is always worthwhile to make your landscaping look cleaner and more beautiful. Best of all, most ideas are really simple to pull off and won’t cost you a ton of money.